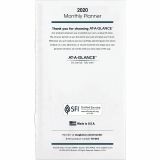 AT-A-GLANCE Pocket Size Monthly Planner Refill, 3 1/2 x 6 1/8, White, 2019-2020 - Monthly appointment book refill is designed for use with At-A-Glance 70-064 monthly planners. 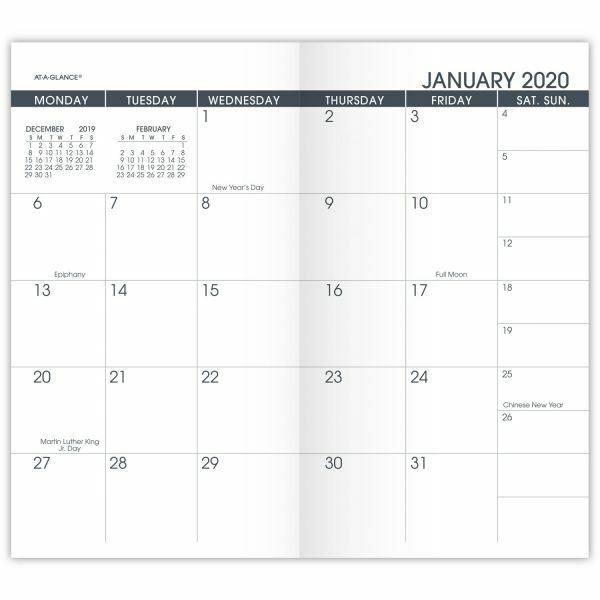 Dated planning pages range 13 months from January to January. 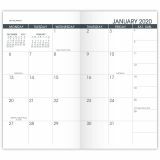 Two-page-per-month spreads offer unruled daily blocks, Monday-through-Sunday scheduling, holidays, and past and future months reference. Refill also offers stapled binding.